The weekend, by nearly every measure, has been lovely. A hike in the nature park. BBQ with friends. Leisurely time in the backyard hammock. Hell, even the kids have magically cooperated with one another for nearly three days straight. Yes, but... the thought of Monday is starting to creep in. It's only 13 hours away. Worse, you're only hours away from that dreaded moment in which you flip open your laptop to see what emails await you; that ritualistic, soul-sucking "re-entry" into the week ahead. Your chest tightens like a fist. You snap at the kids for the smallest thing. You find yourself wondering how (in the hell) you got to this spot -- in a job that's not right, a career that doesn't suit you, and / or with an income upon which your family entirely relies on. There goes that carefree hammock feeling. Have you built up a nice little empire (or mini-empire) in a job or industry you hate? Do you walk in every Monday to people you don't enjoy, a boss who undervalues you, or a workload that's more suited to four humans than one? Or, maybe you're bored. So. Freaking. Bored. Whatever the cause, you're feeling stuck. You need out, but how do you do it? How do you figure your way out of a job you despise (or, at the least, have outgrown) when you don't really know what that next job looks like, or how you're going to continue to afford that BBQ, hammock or the kids (who, again, got along magically all weekend) if you shift gears? Let's cut right to the chase. You're never going to get out of a job that throws you into a mini- anxiety attack every Sunday night if you spend precisely zero time thinking about what you want to be doing instead. If you flat-out decide that you're stuck, then guess what? Plain and simple, you're stuck. Instead, start thinking about the stuff you really enjoy doing, in your current job, prior roles, or even in volunteer assignments or school projects. What tasks energize you? What do you both enjoy and do well? Next, think about the stuff you truly don't enjoy doing, even if it's something you're good at. Write that stuff down, too. 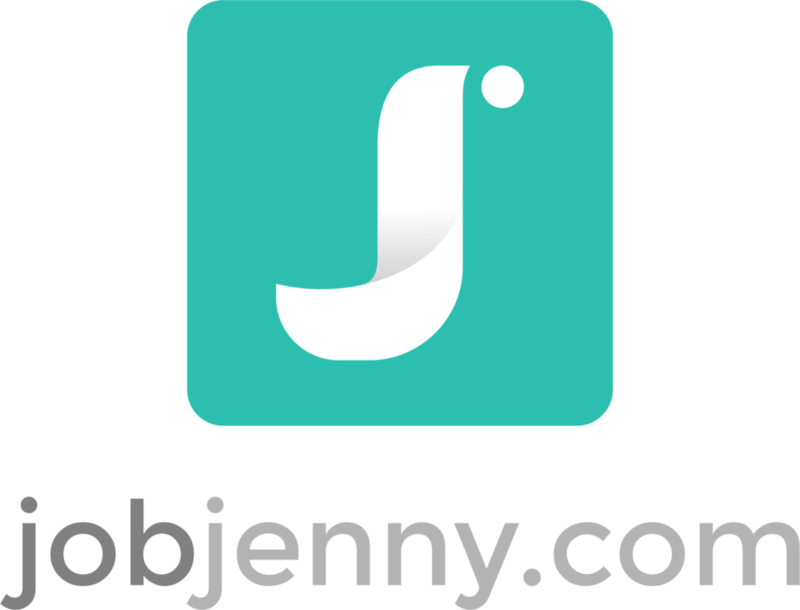 OK, now comes the fun part -- Go over to one of the major job boards (or, a niche job board in an industry of interest) like Indeed.com or LinkedIn.com, and conduct a few searches using search terms that align with the skills you want to put to use. Play around with different variables and see what turns up. What are the jobs that come up called? In what industries do they center? Are there any specific companies that seem particularly interesting? You can find several clues related to what your "next great job" might look and feel like (and be called) by spending a couple of hours attempting to define (at least in ballpark terms) what "ideal" looks like. Once you gain at least a bit of clarity on jobs that may fulfill you more than your current one, it's time to realistically assess the situation. How doable is this transition, given where you're at today, and where this would take you? Do you have career capital built up and / or transferable skills that make this a realistic leap? Do you have the educational qualifications, or certifications these roles require? If yes, you may be in a great position to build a transition strategy that takes you from the side of the pond you're on today, all the way over to the other side, where that new career awaits. If no, then maybe you need to think through an interim step or, as I call it, a lily pad jump that takes you halfway across the pond, with a concrete in place to build up the career capital you need to go the distance in coming months or years. A "getting me closer" job isn't a sign of failure at all; often, it's a critical strategic move that points you in the direction in which you'd love to head. For instance, say you are a project manager in the manufacturing field who really wants to be a marketing person for a healthcare company. The lily pad move may be one that takes you into project management for a healthcare company, with a plan in place to next shift into marketing. Or, perhaps, it's a marketing role within manufacturing, with intentions to ultimately shift into healthcare marketing. See what I mean? The bottom line with this step is that you need to balance the "Wouldn't a job in ___________ be awesome?" against the "What, exactly, is involved in making this happen?" If you have come to realize that an "all-the-way-across-the-pond" or a lily pad jump seems plausible and excites you, now it's time to construct a road map. Ever try and get somewhere important, in an unfamiliar city, without GPS a map or any clear directions? How'd that work out for you? It's going to work about about the same if you attempt to get unstuck in our career without any sort of game plan. Before you bust out all great-balls-of-fire on a career pivot, it's imperative that you map out some clear plans on how you're going to get from today to your first day on the job, in that new job or career. Who do you need to know? What companies do you need to research? Are there any classes or credentials that you 'll need before becoming a serious contender? When can you take these? How soon can you realistically reach your goal? And, super important -- what action items do you need to assign yourself (every single week) so that you're moving forward and not just sitting around thinking about this forever? You know what's going to happen if you have no road map? Probably very little. And do you know what's going to happen if very little happens? Make a plan. It doesn't have to be a tattoo. In fact, it shouldn't be. I should be a malleable, living and breathing document that guides you along the way. This is, by far, one of the biggest concerns professionals tend to have when trying to get out of a job that they've outgrown, or off a career trajectory that no longer suits them. How do you get out without losing your house, your car, your lifestyle? Gooood question. You certainly may be able to achieve this, but a major transition also could require you to "step back" on the ladder as you grow into a new vocation. Given this, you should consider what your "drop dead minimum" monthly or annual income needs to be and figure out if it's feasible to either find a new job that matches this, or add some moonlighting income into the mix as you learn and grow. You should also spend time thinking about areas you might be able to cut back economically through this transition, which kind of stinks but if you truly want to make this move, you'll need to think through the economics before you're caught by surprise. Here's where you stop the talking and start the walking. Do you really, truly want out of a job you no longer enjoy? Then take on the radical responsibility to make this thing happen. No one is going to make it happen for you. Set your plans in motion. Construct a weekly or daily schedule that will enable you to wake up everyday and know what, exactly, you need to accomplish in the name of bettering your situation or life. And then follow through. Do those things. Do those things when it's inconvenient. Do them when it's a little bit scary. Do them when you're tired or overwhelmed. Do them when there's a ton of great stuff in your Facebook feed and you'd really just rather spend an hour over there. Remember this -- Most people who find their way into "dream jobs" aren't there because they're lucky jerks. They're there because they made solid commitments to themselves to make big things happen, and then they activated. My grandmother used to tell me -- over and over again -- "Jennifer, Rome wasn't build in a day. You need to have patience sometimes." This was a very tough message for me, given that I was (am) always an incredibly action-focused (ahem, impatient) human being. Once I get an idea, I typically just charge right forward. This is a good trait in a lot of ways, but it's not always going to serve you well through a major career or job change. You're going to need time to investigate, explore, meet people, ask questions, build up a new network, and grow into this new world. That said, you will likely need to strike a healthy balance between "slam-on-the-gas-let's-go!" and "I'm-not-getting-there-fast-enough-I-give-up." You can find this more readily by scheduling 30-, 60-, and 90-day assessments for yourself. Literally -- book time right into your calendar at the front end of this, to sit down and think about where you're at in the transition. What have you learned? How is it feeling? Do you need to make small or large adjustments to your strategy and plans given what you've discovered so far? You're going to meet people and learn things as you progress. Your life will change and evolve. These things may shift or enhance your plans along the way. This isn't just OK -- it's a vital part of the process. The more attentive you are to these things through a job or career transition, the better the odds that you'll land it a spot that truly suits you. It's like when a doctor says, "Listen to your body." This time, it's "Listen to your career transition." Last, but most assuredly not least, when you make the decision to get yourself out of a job you hate (or really dislike, or have outgrown), you absolutely don't have to spend month upon month feeling like you're being dragged across fiery coals. Yes, of course, some of this is going to require true effort and sacrifice. You may have days in which you wonder if it's even worth your effort. However, it should not be excruciating. You need to preserve your sanity and your energy through the procress, so that you can stay focused and keep the momentum going, even when it feels daunting, arduous or maybe even a little out of reach. You need as least semi-regular time to hike in that nature park, BBQ with friends and lounge around in your backyard hammock. Don't shortchange yourself on this in the name of making things happen faster, sooner, or with more firepower. Why not? Because if you burn out before you get out, none of this will be worth your efforts. Please trust me on this. Your career is worth a noble effort. You deserve a job in which you feel fulfilled, and like you're making a genuine contribution to this world. And, for the love of it all, you deserve relaxing Sundays. How's about $15 off our Ridiculously Awesome Career Pivot Kit, a no-fuss, roll-up-your-sleeves guide for anyone who refuses to believe a job should simply be survivable? This one's for everyone who can't envision living with the dull (or sharp) pain of an unfulfilling career for the rest of your working life. The kit is typically $39. Yours for $24 with promo code GETMEOUT.